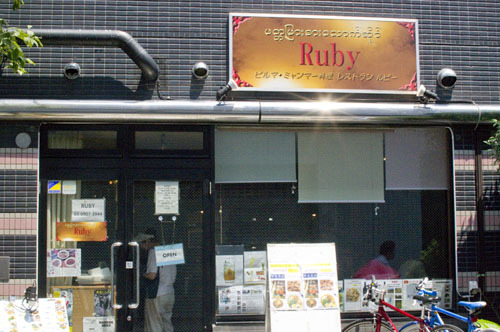 Ruby is a friendly place that attracts a lively crowd of drinkers and eaters. 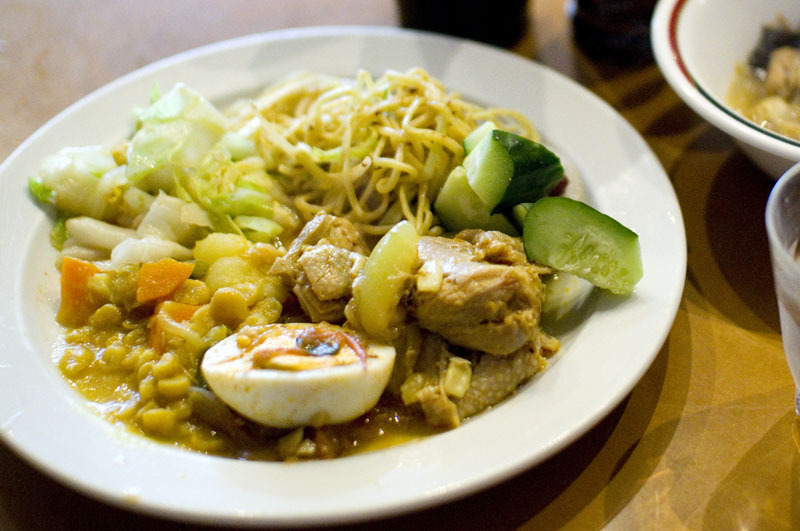 They have a complete Japanese-language menu, listing some Malaysian-style dishes like satay in addition to a full range of Burmese food. Highly recommended is the Tofu-joh (Y550), a Burmese style tofu made from yellow lentils and spice, and deep fried in small squares. Served with a thick, sweet-hot-savory dipping sauce, it has a crunchy exterior and an interior texture like the corn masa in a Mexican tamale, but with a flavor closer to Indian papad. The A-Soh-Na-Hin (Y780) consists of long-simmered chunks of stringy beef in a richly flavored sauce similar to a Northern Indian curry, garnished with a large sprig of spearmint leaves. Both rice and paratha (a thin bread) are also on the menu. There's a nicely varied buffet at lunchtime, priced at around Y1000. Closed for lunch on Saturdays; open until 5am Saturday and Sunday evenings.